A brave, lone, stand-up paddleboarder and teams of canoers raced through a 2.5-mile course in the Gowanus Canal from the 365 Bond development on Second Street to the mouth of the Gowanus Bay on Saturday. The race was used as a fundraiser to improve the boathouse of the Gowanus Dredgers Canoe Club, founded in 1999 by Owen Foote to promote the cleanup of the canal. “We don’t need walkways like what has been built to date which is simply just a front lawn for private development,” Foote said. Local businesses provided prizes for the fastest canoers, who dressed up in masks and costumes. The first place team received a bottle of Chief Gowanus Gin and a bonus unknown artifact removed from the Canal sediment by a Dredger member. Runners-up won a $200 gift card to the Pig Beach restaurant and third place also won a $200 gift certificate to the Brooklyn Crab, Bklyner reported. The lone paddler’s placement was not reported. The winners, rowing in a hand-crafted wooden boat named Zoe, completed the course in 17 minutes and are part of the Manhattan-based Village Community Boathouse, a group that teaches young people rowing, sailing and promotes the use of urban waterways. 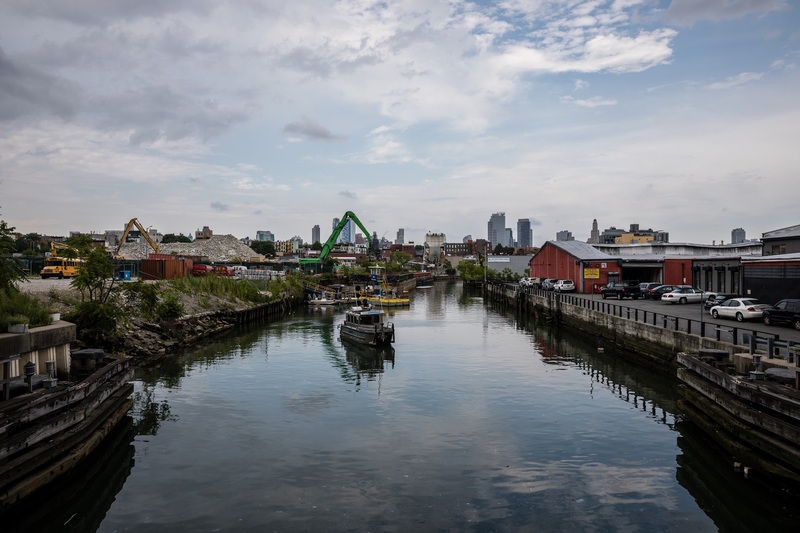 The organization is planning on partnering with the Gowanus Dredgers to bring similar programs to Gowanus and Sunset Park.